Let your smart heating controls learn your routine and do the work for you! Spend less on your energy bills by only heating the house when, and where it’s needed. 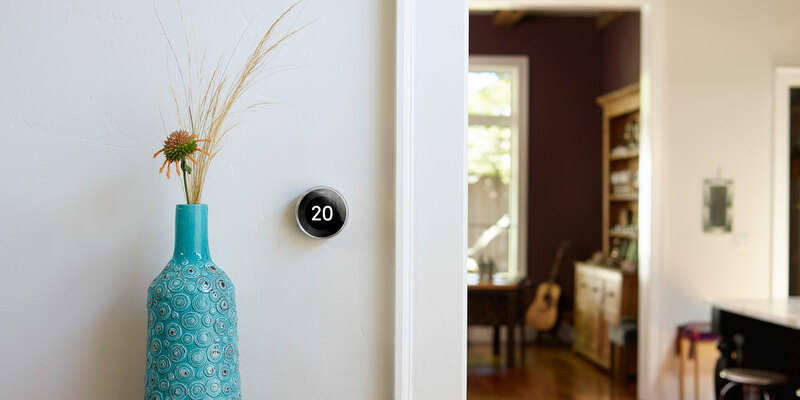 An intelligent thermostat will quickly learn your routine. It will know when you are likely to be at home, or away, and can heat your house accordingly. Gone are the days of having to programme your heating to come on an hour before you get home – smart heating will not only know when you are getting home, but based on the current outside and inside temperature, it will know exactly how long is needed to get your property up to your preferred temperature. Smart heating is all about maintaining a consistently comfortable temperature, while reducing your energy spend by only applying heat when, and where you need it. Different parts of your property may well have different temperature requirements. Traditional heating doesn’t know, for example, that you would like a kitchen to be heated less that a living room, or that a baby’s room must remain at a consistent temperature that is neither too hot, nor too cold. Smart heating learns your preferences though, and once it knows what you like, you will never have to tell it again. What if I break my routine? While your heating controls will learn what you do on a daily basis (including the different routines you might have during the week, compared to at the weekend) they are not rigid and will always let you ‘speak’ to them. If you are going to be home earlier than planned, for example, you can open an app on your phone and tell your heating controls that you will be back early so that they can warm your house accordingly. What heating control options are available to me? Smart heating control is becoming increasingly popular, thanks to its ability to keep your property at a comfortable temperature, while saving you money. We supply and install a range of heating controls, but typically recommend one of two, depending on your individual preferences and requirements. Find out more about the popular NEST learning thermostat and the heatmiser complete smart thermostat solution. If you are unsure which would be best for your home, we are happy to offer advice.